Present your Freedom Cafe loyalty card and collect a stamp each time you purchase a hot drink. 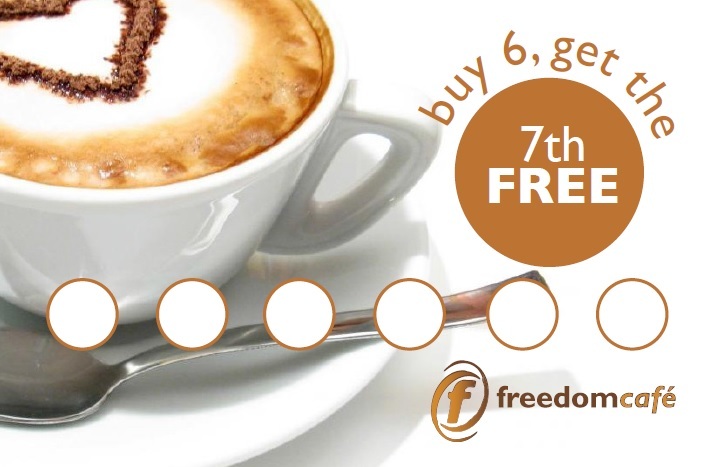 On your 7th visit redeem your free medium hot drink. Please refer to the loyalty card t&c's that apply. Whether it’s mild or spicy, minimum or maximum flavour, small or large portions – Burrito Loco has it all, from burritos to tacos. Serving authentic, delicious Mexican food that's fresh, healthy and locally sourced. Find Burrito Loco on Level 2 overlooking the ice rink and the leisure pool. The View Bar serves beers, wines and soft drinks every day and is located opposite Freedom Cafe on the entrance level to Spectrum.